Body Language & Emotional Intelligence: Negotiation Body Language Secret # 881: Perry Endorses Newt ... or Does He? Perry Endorses Newt ... or Does He? 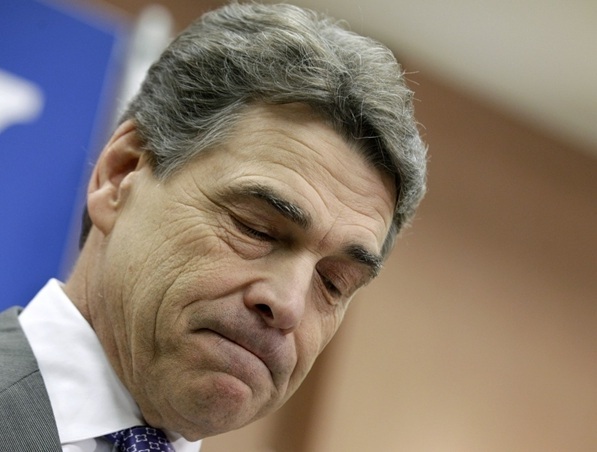 In this video, Governor Rick Perry (R-TX) suspends his campaign and endorses Newt Gingrich. At several times during this short speech, Governor Perry's left eye brow and left forehead elevate indicating skepticism. This is a clear nonverbal signal that he does not completely believe everything he is saying. Whenever the verbal and the nonverbal are in disagreement - the body language is always correct. In addition, towards the beginning of this video, Perry twice exhibits a "Bitter Smile" (showing regret) simultaneous with an "Inward Lip Roll" (indicating an attempt to hold-in negative emotions) when announces he's ending his bid for the White House.